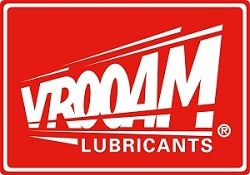 VROOAM Powersports Lubricants International B.V.
For individuals or companies who would like to support Nadieh and her team, and fall in between the Supporters Club and proper sponsorship. To put things in perspective - €250 covers about the entry fee for 1 IRRC round, or the cost of 1 rear tire. Meaning each member makes a fair dent into our budget per event! - Small sticker with name, company logo, or simply a funny phrase on the bottom of our ZX10's seat unit. - Shout out on social media and in race report at IRRC round you have paid the entry for, or when we use "your" tire. - Name featured on this page, as seen below. - As always, our eternal gratitude for your support.